positively impacted the agricultural, commercial, financial and construction areas. The results for the economy of Belize have been significant, and the country welcomed over 1 million visitors for the first time in 2012. Before independence in 1981, Belize was not considered a place to visit for its lack of infrastructure to accommodate the large-scale tourism. However, the rapid expansion of the tourism industry over the past decade has become the second tourism industry. 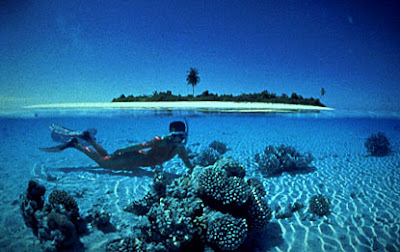 BeliceBelice tourism has a very diverse tourist matrix. The Belize Barrier Reef (second largest in the world), more than 450 cayes (islands), excellent fishing, safe waters for swimming, sailing, windsurfing, rafting in caves, diving and snorkeling, numerous rivers for rafting and kayaking Several jungles and wildlife reserves, places for hiking, birdwatching and helicopter tours and several Mayan ruins, support industries and ecotourism. BeliceBelice Tourism also has the largest cave system in Central America, 544 species of birds, and well-preserved natural beauty. Despite all this, is still the least visited country in the region. Development costs are high, but the Government of Belize has designated tourism as its second development priority after agriculture. Tourism is the responsibility of the Ministry of Tourism, in which the Tourism Board works as a liaison between the public and private sector. The tourism industry is a key part of the Belizean economy, contributing more than 25% of all jobs, and adding more than 17% of GDP. Belize is divided into 6 districts connected by two-lane paved roads and well organized by the national airline and ferry services network, making it easy to plan your visit from one extreme to another country. There are nine internationally recognized destinations which allow you to mix and match your choice of reefs, jungle, Mayan history and contemporary cultures. The largest coral reef in the Western Hemisphere waiting for you. The Mesoamerican coral reef stretches across Belize to Mexico, Honduras and Nicaragua, making it the largest reef in the Western Hemisphere. It has approximately 1,100 km long and contains countless examples of marine life. The sugar cane fields line the road and the river once again an important channel for the ancient Maya is now a paradise for wildlife and landscape in northern Belize. The remains of the Mayan heritage in temples and ceremonial centers coexist with cultures of life for Métis and Yucatecan Mayan descent. The Spanish language is very common here. The fertile valley of the Belize River, the howler monkey and bird sanctuaries and Altun Ha Mayan temples are located in the district of Belize, as is Belize City. The largest population center in the country, Belize City is the cultural center of Belize, a vibrant mix of old world charm and modern conveniences. With its colonial architecture and historical memories of the 1700s the "Creole" culture is predominant in the Belize District. In the center of Belize it is also the capital Belmopan. Western Belize is home to the twin towns of Santa Elena and San Ignacio and the border town of Benque Viejo del Carmen, along with forests, caves and waterfalls of Mountain Pine Ridge and several large Mayan cities. The influence of mestizo taste is palpable here, and has a large population of Mennonites of German origin based in the community of Lookout. Start a great vacation in southern Belize, with a diverse group of good people and good times. Punta Gorda is the gateway to everything from deep sea fishing to river trips, caving, bird watching, Mayan archaeological sites and the only jaguar reserve in the world. The East Coast is a mix of culture and adventure. From the view of the Maya Mountains to the golden sands of the beaches, Southeast Belize has something for everyone. While that crosses the Hummingbird Highway, stop at one of the only jaguar sanctuary in the world. The islands off the coast of white sand beaches offer near the Belize Barrier Reef, turquoise waters and abundant fish life. Live life on the island in established communities such as Ambergris Caye and Caye Caulker or opt for a private getaway in the small stations, retreats and campsites in the smaller islands that dot the reef line from north to south. Because of the great variety of attractions offered, most visitors' itineraries combine two of these holiday regions. With so much to do and so little time, Belize invites you to return again and again for new and unforgettable experiences. Regardless of the region you visit, Belize will thrill and satisfy your senses!